Shauna Kahn, 53, of Mena was charged with disorderly conduct after a call to a residence in Mena. Officers responded to a call of a disturbance regarding a fight between two local brothers, ages 17 and 12. The boys were left in the custody of their father. A local woman reported that someone had stolen checks from her home, and several of them had been cashed without her knowledge or permission. Case is pending further investigation. Chad Dale Olson, 32, of Mena was arrested on an outstanding warrant. A local woman filed a report regarding an acquaintance of violating an order of protection she had filed against him. Case pending. Eric W. Thacker, 30, of Mena was arrested and charged with residential burglary, theft of a firearm, theft of property, possession of a firearm by certain persons, possession of schedule VI controlled substance, and possession of drug paraphernalia. The arrest followed an investigation by local officers. Candice S. Lawrence, 36 of Mena was charged with theft of property (shoplifting) after officers responded to a call at a local retail store. Daniel Chaney, 23, of Mena was arrested on an outstanding warrant for violation of an order of protection. 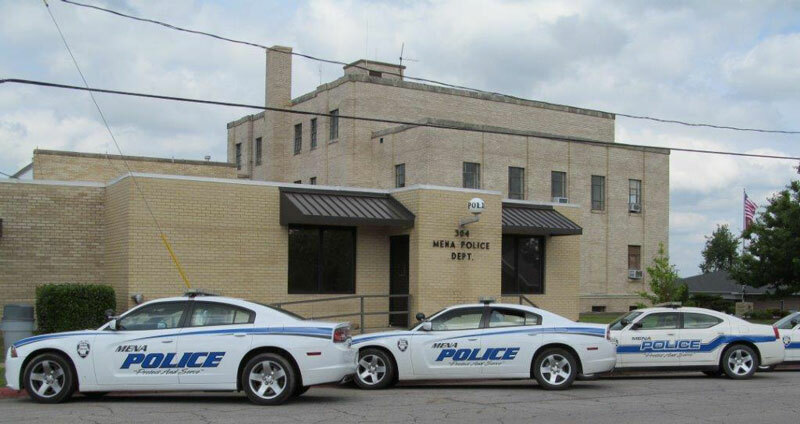 Veronica Mae Maddox, 21, of Mena was arrested on two outstanding warrants, one from the sheriff’s office and one from the police department. Report was made of threats being made to a local couple by a former boyfriend of the woman. Case is pending. A local man reported that when he arrived home, someone was trying to break into his house. Case is pending location and interview of suspect. Report was taken of a pickup being stolen from the driveway of a local residence. Case pending. Jeffery S. Manning, 57, of Mena was arrested on a warrant from the police department for failure to pay fines and court costs. A local woman reported that she is being harassed by her former husband. Case is pending.